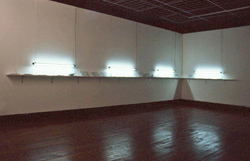 Myles Meehan Gallery, Darlington Arts Centre. 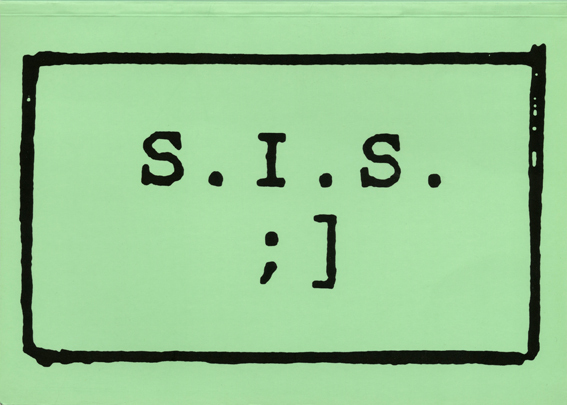 S.I.S. is a 38 page A5 publication featuring computer mediated text-based conversations gathered online throughout 1992-1993. The publication pages are formatted in the appearance of dot matrix continuous paper. Using modem dial-up technology, the conversations were carried out with users of CompuServe CB Simulator, the first publicly accessible software for privately operated Computer Bulletin Board Systems. 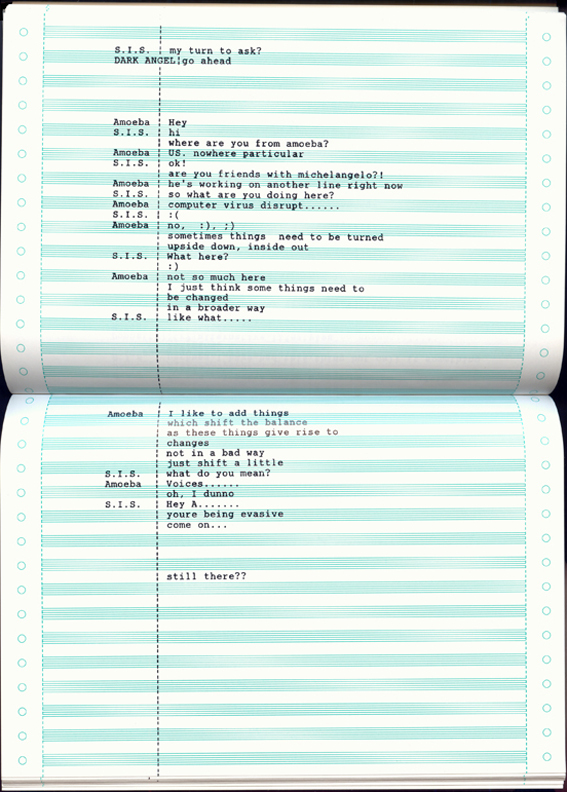 The special interest CB Simulator Forum, available on the American online service CompuServe (the first service to offer Internet connectivity), was one of the first dedicated online chat services. dial-up nodes 24 hours a day, at a time when it was virtually unknown. Appearing as text on the screen, users assumed pseudonyms or ‘handles' to identify themselves to others in the Forum. Thus identities and specifics of location could only ever be assumed. For the project the handle S.I.S. was adopted to interact through the CB Simulator option, thereby entering into an online world of fictional identities. 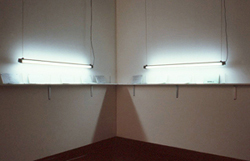 Interveening Spaces was curated by Alison Lloyd. 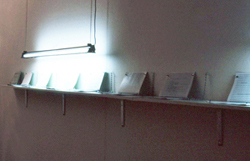 It featured works by Veronica Slater, Lynn Turner, and Alexa Wright.